Yesterday, I got out of work early, and was convinced to go to a karaoke bar in Adams Morgan. While waiting to pay for a drink, a woman commented on my bag – a black cloth tote with a beaded gold elephant. “That is an awesome bag you have! You are so trendy! Did you know that elephants are auspicious?” random lady stranger said. “Oh thank you. And really? That’s good to know.” I replied. What I thought was, yes, I know that and I have an elephant tattoo, but I don’t particularly want to discuss that. Then, as we nodded good bye, I thought about what this random stranger must see me as, a young twenty-something girl, with a “trendy” style and a fan of singing. Pretty much, I was questioning the social practice of identification. How do you identify yourself? How do others identify you? People categorize other people all the time. Have you ever people watched at a café? Checked out someone while in line? Overheard a conversation on the elevator? In order to make sense of those situations, we make quick inventories of the people we are observing and identify them accordingly. There is nothing inherently wrong with any of that, but its important to be aware what our automatic categorization could be doing to propagate stifling or marginalizing mechanisms, or awesome and empowering ones! First, let me introduce myself. (And another awesome post about labels and identity). In a sentence, I would identify myself as a 24 year old, biracial woman of a curvy build, who is currently pursuing a MA in anthropology. The processes of self-identification at any point in one’s life is always a tug-of-war of varying interests, situations and relationships. This sentence says a lot about what is important to me, what kind of impression I want to give, and what boundaries I want to set. Education is important to me, thus I mention my current student status. I want to set put forth the fact that I am biracial, so that I am not automatically categorized unconsciously by the reader. For the same reason, I mention I am a woman. And so forth. When a person is describing their identity, they may choose to highlight relevant information. Back at the karaoke bar, I would probably mention that I don’t do singing in a public setting, but that my sister does. Thus identifying myself as a member of a multi-child family and that drinks would fly if someone dared try to drag me on stage. But what if someone from across the bar started talking about me to their bar companion. While they may guess my correct age, and possibly my race, they would probably think I could sing, since I was at a karaoke bar and they would have no clue as to my education or my sibling relationships. How much can people really guess about others with observation alone? 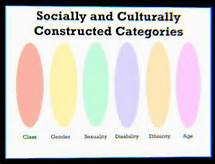 In class, we discussed a conceptual framework for talking about marginalization and oppression called intersectionality. It was first discussed by Kimberlé Crenshaw, a UCLA and Columbia Law professor of race and gender studies. Intersectionality challenges ways in which the many facets of identity – gender, race, sexuality, class, ability – interact and contribute to mechanisms of oppression and inequality. Often, the classic example is the identification as black woman, which cannot alone be understood as being a woman and being black, but the way in which both those identifiers intersect to have cultural and social repercussions. Intersectionality has been expanded and built upon by other social scientists interested into going deeper into issues of identity, othering and oppression. Professor Jennifer Nash gives a beautiful break down of what exactly Intersectionality is, how Intersectionality has been characterized, and the societal uses to challenge social exclusivity norms. So, maybe its time to ask the other question in your everyday life. 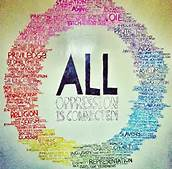 Micro-oppressions can be called out and defeated just by bringing to light exactly what it is. For me, that is not assuming that different races tip a specific way, but is pointing out to cat callers that men and old people may also want to be told how beautiful they are. It is refusing to listen to a certain song or watch a youtube video that makes fun of a group’s size or ability without looking at their whole identity. Its urging your friends not to make a snap judgment of a person based on one facet of their identity. Personally, it is also challenging how I identify myself and ensuring that I don’t reinforce oppressive or othering behaviors when interacting in a public space. 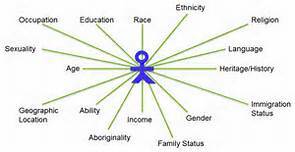 Where can you use Intersectionality in your life? What doors can you close to oppression and marginalization? And which can you open for a more understanding and accepting society? – be sure to check out the bibliography for additional reading!!! Because of my uncertainty with copyrights, I will not be posting a link, so go check out the article online! !